Far from being the silent, dreamlike landscape we often imagine, the sea is peppered with animal sounds, a chorus of clicks, snaps and howls. But with a steep growth in marine traffic, the noise of ships is increasingly turning harmony into cacophony. Evidence is mounting that many marine species, particularly but not exclusively big mammals, can be deeply affected by noise pollution. Now a wave of ambitious scientific projects is seeking to fill the research gap between the shipping industry and environmental protection. Ships move as a result of rotating propellers installed on the stern. As they accelerate, the propeller blades alter the water's pressure. 'When the pressure gets too low some of the water turns into vapour bubbles, which, upon touching the surrounding higher pressure fluid, implode,' said Mario Felli, an engineer with the Italian National Research Council and member of the EU-funded project SONIC, aimed at assessing and mitigating the impacts of noisy ships at sea. Together with the sister project AQUO, the SONIC researchers embarked on the ambitious task of modelling the acoustic signature of individual ships, known as noise footprint, as well as the spatial distribution of sound from a large number of ships, called noise mapping. Outside the project, a comprehensive register of sea traffic already exists, in the form of a colourful interactive map that records ship movements and routes all over the world in real time. Users can click on a single ship and learn about the model, the route and the estimated time of arrival. 'The idea is to take information from that database and try to infer the noise level in critical sea areas,' said Felli. 'This remains a challenge as the noise footprint estimates are still quite approximate. In the EU-funded AQUO project, a team of engineers and biologists looked at the problem from the point of view of marine life. They studied ships as noise sources, the noise propagation from shipping in the oceans, and marine animals' sensitivity to noise. The two projects used computers to simulate the noise from individual ships and to assess the underwater noise footprint due to shipping in particular areas of the ocean. To study the noise generation by ship propellers in controlled conditions, they performed laboratory tests with scale models of ships and propellers. The teams also measured the noise from several real ships in the open sea, and developed a proposal for a standard on how to do these full-scale measurements, according to Jan Hallander, a propeller expert with the Swedish research institute SSPA, who participated in AQUO. The two research teams also cooperated in the production of a how-to manual to help designers tackle the noise problem more effectively, and ship operators and crews apply best practices when at sea. The manual was disseminated at scientific conferences and through the project newsletters. 'As designers we are always faced with the same dilemma: if you want to reduce cavitation (bubble formation) you will most probably reduce the efficiency of the propeller, so fuel consumption goes up,' said Maarten Flikkema, a senior project manager with the Maritime Research Institute Netherlands who coordinated SONIC. Flikkema says that in this case it's down to the ship operator to maximise noise reduction and fuel efficiency: 'We looked at speed limiting in certain water basins, there we saw that if you limit your speed to 15 knots, for instance, then for some ships that would mean sailing at 40 % power, and for other ships that would still mean that they would be sailing at 100 % power'. What would help more, says Flikkema, would be to regulate power instead of speed, but such a norm would be very difficult to enforce. Until researchers gain a more precise picture of how animals react to sound they won't be able to identify fully effective measures. 'It is difficult to understand how animals are using sound, what information they extract from it and how human-made noise disrupts it,' said Dr Mark Johnson, a researcher at the University of St Andrews in the UK, who spearheaded the EU-funded project AnimalSoundSensors. The team developed and deployed miniature tags to record movement and sounds. 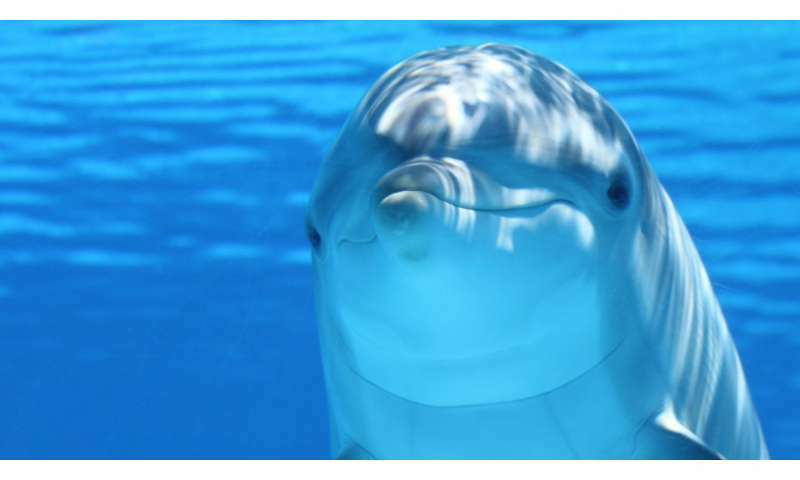 The objective was to quantify the long-term exposure to man-made noises, and work out how this changes the behaviour of marine mammals. Sperm whales, pilot whales and beaked whales received special attention, as they often hunt in deep, dark waters where they must rely entirely on sound to find food. 'Our tags sense the very precise movements of the animal using accelerometers and other sensors, stuff that many people already have in their mobile phone for example,' Dr Johnson said. At the moment he and his team are working to distinguish external sounds from the ones made by the animals themselves, and are trying to automate the analysis of the data they collected, but Dr Johnson concedes that it will take time. Nevertheless, researchers believe they are on the right course.